The Young and the Restless (Y&R) spoilers for Monday, July 9, tease that Nikki (Melody Thomas Scott) and Sharon (Sharon Case) will reel over a shocker. 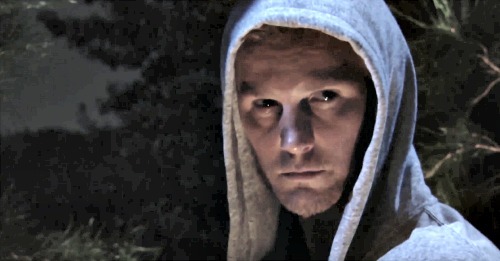 After J.T.’s (Thad Luckinbill) startling appearance on Friday, July 6, they’ll both be shaking in their boots. J.T. will undoubtedly scamper off into the night again, so Sharon and Nikki will be left with more questions. After seeing J.T.’s face outside, Nikki won’t think they can deny that he’s alive. She’ll begin to lose it on Monday’s new Y&R episode, July 9, and Sharon will be in the same boat. They’ll most likely contact Phyllis (Gina Tognoni) and Victoria (Amelia Heinle) ASAP. These four need to have an emergency meeting and discuss how they’re going to handle J.T.’s return. Did J.T. really survive or could there be another explanation? The ladies may not be able to find one, but anything’s possible in Genoa City. Y&R fans will recall that Marco (Peter Bergman) impersonated Jack (Peter Bergman) and got away with it for quite some time. Whether this is a lookalike or J.T. in the flesh, the drama will definitely intensify for the cover-up crew. Other Young and the Restless spoilers say Kyle (Michael Mealor) will get stuck in a jam. He starts digging up Phillip Chancellor’s (Donnelly Rhodes) body on Friday, but it looks like the cops will show up in Monday’s episode. As police lights flash nearby, Kyle will realize he’s made a mess of things. This was obviously a disastrous plan. Later in the week, Jill (Jess Walton) will return and give Jack (Peter Bergman) an earful. She’ll rip into him for letting his son run amok and pushing this exhumation issue. Both Jack and Kyle will be in big trouble, so they’d better brace for some heated confrontations. Y&R viewers know Jill’s wrath can be brutal! The Young and the Restless spoilers say Neil (Kristoff St. John) will also have romance on his mind soon. He’ll try to woo Ashley (Eileen Davidson) at some point, so she’ll have to decide if she’s interested. Neil and Ash seem to get along pretty well, which could mean she’ll be open to the idea. New love stories are always fun, so let’s hope Ashley gets one before Eileen Davidson departs in September. We’ll give you updates as other Y&R news comes in. Stay tuned to the CBS soap and don’t forget to check CDL often for the latest Young and the Restless spoilers, updates, and news.